When Hurricane Katrina swept across New Orleans' historic City Park, it toppled trees and temporarily submerged an area nearly twice the size of New York City's Central Park. City Park's renovation began almost immediately. Among the many rehabilitation efforts, The Trust for Public Land and the City Park Improvement Association joined forces to restore and enhance the fifty-acre Big Lake area near the park's entrance, building a fitness trail, an educational walking path through zones representing Louisiana habitats, and other amenities. Big Lake now receives millions of visitors and recreational enthusiasts each year. 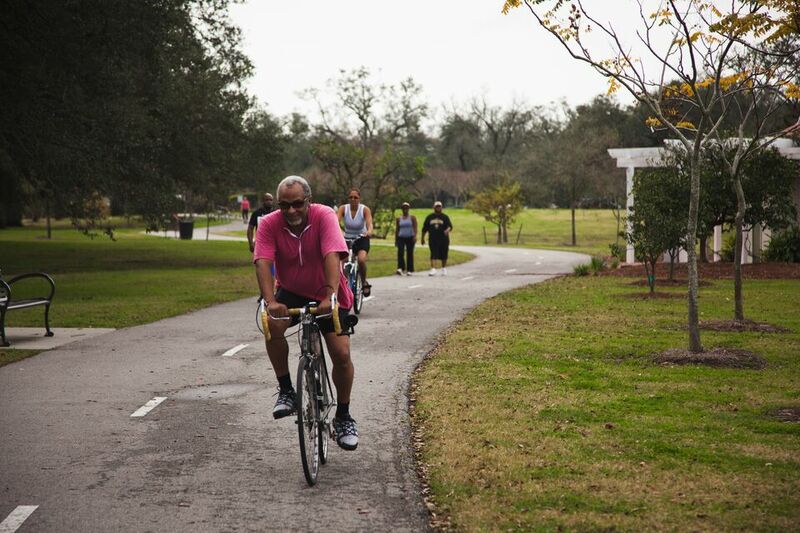 The effort to fully restore the largest public recreation area in metropolitan New Orleans was funded by generous individuals, companies, and foundations.